Jon Stocking - wanted to be a chef, since he desperately needed a job he decided to work on a Tuna ship - before the whole dolphin safe tuna craze. One day while he was on the ship he saw a baby dolphin who was caught in the tuna net had been separated from her mother. Now Jon, had seen a few dolphins get caught in the net before but this pushed him over the edge he couldn't take it anymore. He jumped into the net with tunas, sharks and all took out a knife and cut the net to free the dolphin - as well as all the tuna. Needless to say he lost the job he had so desperately needed. This event really motivated him and he decided he really wanted to use his talents to help animals. He got another job learning how to make chocolate. 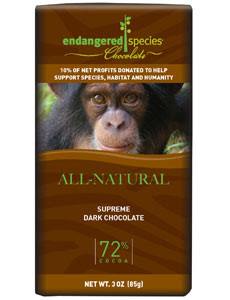 He went on to create Endangered Species Chocolate, the very successful chocolate brand that uses sustainable, forest friendly ingredients and donates 10% of its proceeds to conservation. 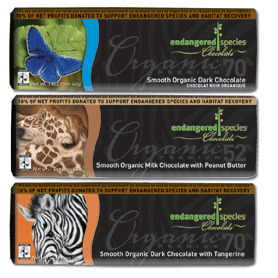 Each bar comes with a beautiful illustration or picture of an endangered species as well as information on that species. 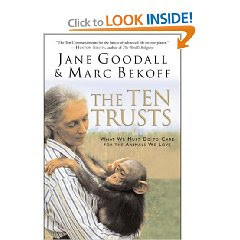 When I read this story in Jane Goodall's book - Reason for Hope - I was already obsessed with these chocolate bars. Every time I saw them I couldn't resist buying them even though I am not a huge chocolate person. I just loved the concept behind the company. 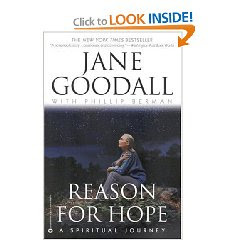 Then I was reading that story I was really touched and thought it was such a great story. Then I got to the end to find out it was the same man who started this company I was obsessed with!